Before being hired as director of the UAB center in August, Birrer’s career was shaped by his dedication to research. He comes to Birmingham from Boston, where he was director of medical gynecologic oncology at Massachusetts General Hospital and the Gynecologic Cancer Research Center program at Gillette Cancer Center. Photo courtesy of UAB. 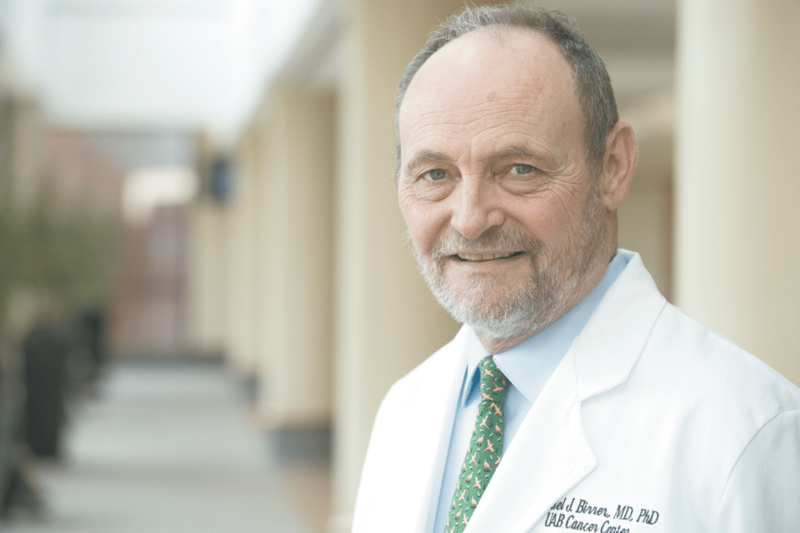 The Future of Cancer Treatment is headed in a more personal direction, said UAB Comprehensive Cancer Center’s new director, Dr. Michael Birrer. Birrer said the ability to diagnose the cause of an individual’s cancer and use that information to target treatment is helping patients survive longer and suffer less. “The future is bright in that there is no doubt in my mind that we will see a more personalized approach to patients with these diseases and this will improve patient survival and lower toxicity,” he said. Before being hired as director of the UAB center in August, Birrer’s career was shaped by his dedication to research. He comes to Birmingham from Boston, where he was director of medical gynecologic oncology at Massachusetts General Hospital and the Gynecologic Cancer Research Center program at Gillette Cancer Center. He is taking over the program at UAB after the retirement of Dr. Edward Partridge. “The UABCCC has a spectacular track record in health disparities research, chemoprevention, new drug development and outstanding clinical care,” Birrer said. Birrer, who began his medical career in 1988, has served as an investigator for the National Institutes of Health’s National Cancer Institute and its Molecular Mechanisms Section. In 2000, he became deputy chief of the Cell and Cancer Biology Branch at the Center for Cancer Research before going to Massachusetts General in 2008. Over the years, he has built a reputation as a trailblazer in gynecologic cancer research and the focus his lab places on understanding the different characteristics of ovarian, cervical and endometrial cancers. “There has been a revolution in our understanding of the molecular biology of these tumors and this has helped us design new and novel therapeutic approaches,” Birrer said. One of the pivotal discoveries in the world of cancer research has been recog- nizing that, within each type of cancer, there are a variety of causes, and those causes change the biology of the cancer and how it responds to treatment. For example, if one patient’s cancer is caused by a gene mutation, he or she would receive a different method of treatment than a patient with the same cancer caused by obesity. As researchers learn and discover even more, Birrer sees treatment narrowing down to a level at which a patient will not only receive a treatment specifically designed for their type of ovarian cancer, but their specific case. In addition, he said he foresees significant developments in early detection that will lead to higher “cure” rates. “My laboratory is leading the way in collaboration with Massachusetts General Hospital in developing an early detection assay for ovarian cancer,” Birrer said. While serving as director of the cancer center, he will continue his work leading research on gynecologic cancers.